Yep. LOVE THE ONE YOU’RE WITH is the second in my Stiletto series. Stiletto is the name of the magazine where all of my heroines work for the Love & Relationships department. I wanted to write a series about women who write about men, only to realize they don’t know the first thing about love. It’s set in Manhattan, and has a very modern, city-vibe to it. Lots of high heels, cocktails and sassy dialog. 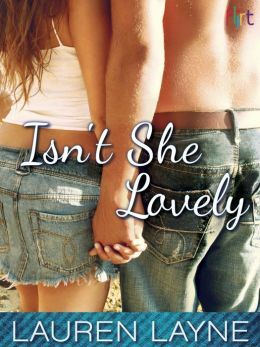 I also have a fun New Adult called ISN’T SHE LOVELY, which is a college-aged Pygmalion/Pretty Woman type story. Ah yes. The Call. I just recently had coffee with a lovely friend in this very stage of the writing process, and it took me back to just how painful the waiting-for-the-call phase can be! Hang in there! I’m not sure my story was entirely typical. In the grand scheme of thing, I didn’t send out that many queries. My first batch was on a whim, and I went through the most current version of Guide to Literary Agents and picked out 8 agents accepting contemporary romance and sent them a really horrible query letter. Form rejections came in a flurry, and I got discouraged. The only personalized rejection I got mentioned that contemporary romance wasn’t “hot” at that moment, so I told myself that was the reason I was getting rejected (had nothing to do with my too-long, too-awkward query letter, of course!) and decided to write a something else instead. So I wrote the other book, in about two months and started to think about querying that. It was actually in my research for the querying process for the second book that I realized just how bad my old query had actually been. I decided to give the ol’ contemporary another shot. I rewrote it and sent it to five agents, this time choosing the agents more carefully, selecting people I knew I’d want to work with. Days passed. Weeks passed. And soon, all of the agents time-frame of expected response had passed, and I assumed rejection across the board. Then one random Saturday morning as I was editing my YA I got an email from Nicole Resciniti at the Seymour Agency. She liked my sample pages and wanted to read the whole thing. I sent that to her on Sunday, and on Monday night she asked if we could speak on Tuesday morning. Inside? I’m dying. I don’t think I left my apartment for 2 days for fear she’d call when I was in the checkout line at the grocery store and I’d miss it. Even when I showered, I kept one ear listening for the phone. Then on Thursday, it happened. A call from a number I didn’t recognize. It. Was. Her. The conversation happened with me in a daze. She asked if I’d be open to adding a scene here and there, as well as chopping chapter two. I said, yes, because at this point, WHO CARES ABOUT CHAPTER TWO? Then she told me she was offering representation. And because she was on my IT list of agents, I said yes then and there. After that, a few of the other agents I queried did come forward asking to see partials or fulls (I guess when contemporary got “hot” again), but if I could do it all over again, I’d pick Nic in a heartbeat. She’s the one. Any advice for those of us waiting for the call? Also, having another manuscript, even just an in-progress one, is never a bad thing when talking to an agent. If I’ve learned anything in this early stage of my writing career, it’s that agents and editors aren’t looking for one-hit-wonders. They want career authors. Along those lines, it’s a really, really good thing to have a bunch of ideas or partials on-hand when you go on submission. Think about it: what if an agent or editor likes your writing style, but your first story didn’t quite do it for them, or they just recently signed something similar? When they ask if you have anything else, you want to be able to say yes. This happened to me with a couple editors, and I think it’s the reason I got 3 book deals in a few months–I had pitches and sample chapters ready to go as soon as they asked. It kills me when I hear people at conferences trying to shop the same book they’ve been shopping for six years. Don’t give up on the book of your heart, but please, please get something else in the works! If nothing else, for your own sanity. If you were to save five of your favorite books from a burning building what would you grab? What type of tea you like? If I’m allowed to get really specific, I love MarketSpice Tea from The Pike Place Market. I missed it when I was in New York! But I love any kind of black tea. Earl Grey and English Breakfast are good standbys. I have yet to get on the green tea bandwagon, but apparently it’s supposed to be quite good for me. Or something. You can pick up Lauren’s latest book LOVE THE ONE YOU’RE WITH at Amazon or Barnes and Noble. 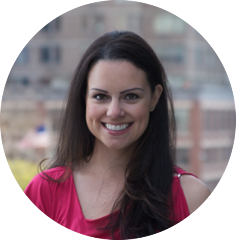 Lauren Layne writes contemporary romance for Grand Central Publishing (Forever) and Random House (Loveswept), as well as new adult for Random House’s Flirt line. A Seattle-native, Lauren’s also tried on the Bay Area, Orange County and Manhattan for size. She’s currently writing from the Pacific Northwest, but is always looking for the next place to call home. Texas? The South? New England? Suggestions welcome. You can find out more about Lauren on her website. Great advice! I want to shake someone when they tell me they queried a lot, and it turns out to be a total of 20 agents with two books. I queried 40 with The Temptation of Lady Serena alone. And yes, write more books!! Congratulations on your pending release!! Tweeted and shared on FB.